People are often surprised by the size of this area and by the abundance of Western and Sonoma Coast tourist attractions to enjoy. Santa Rosa is the biggest town between San Francisco and Portland, and it definitely has a lot to offer. And, like those two cities, there is a focus in the area on walking and biking that many people from other parts of the country find very inviting – some so much so that they end up moving here! Some of the things to do in Western Sonoma may seem a tad quirky, but that’s part of the charm! Whether you go for quirky or lean more toward the area’s natural or historical tourist attractions, Western Sonoma is fun for the whole family. Check it out! Howarth Park, Santa Rosa – This large city park is seamlessly joined with Spring Lake Park (a county park) and Annadel State Park. Howarth Park offers canoe and paddle boat rentals, pony rides, a merry-go-round, a miniature train ride and a large, well-developed playground with a climbing net, bridges and a play town. There are also picnic areas and campsites. There are lakes in the parks, and Spring Lake has a swimming lagoon, too. Lake Ilsanjo in Annadel State Park, considered a “local secret” natural swimming location, can be accessed by a short hike (about two miles) on the Vietnam Vets trail (off Annadel Heights Road) which leads to the Spring Creek Trail. The parks’ abundant hike and bike trails vary from paved paths to open trails and connect to the Bay Area Ridge Trails. Joe Rodota Bike and Pedestrian Trail, Santa Rosa to Sebastopol – This multi-use trail extends from downtown Santa Rosa (where it connects to the Prince Memorial Greenway near the Courtyard Marriott in Railroad Square) all the way to downtown Sebastopol, several miles to the west. Except for small portions near those city centers (especially in Santa Rosa, where the path traverses a few streets), it is a completely off-road experience and a great alternative to driving between the two cities. This area is blessed with an abundance of open spaces to enjoy, and you can find a map here that will help you explore them. 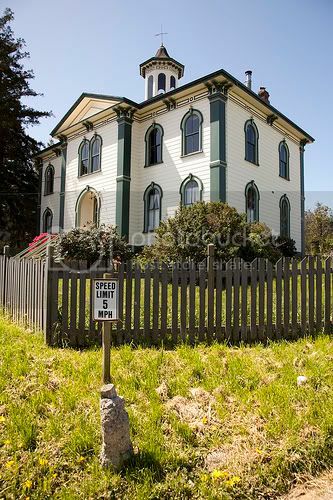 The Old Potter Schoolhouse, Bodega – Used as a filming location in Alfred Hitchcock’s “The Birds,” this building was slated for demolition when Hitchcock discovered it. He had it shored up and rebuilt for the filming, and it is the only original building used in the film that still exists. The public is welcome to view the outside of the schoolhouse, but it is a privately-owned residence. The Tides Wharf Restaurant, Bodega Bay – This restaurant and parking lot also appeared in “The Birds” in the gas station, cafe and boat dock scene (although the gas station was blown up on the studio lot). The Tides complex has since been expanded and remodeled, and it is a great place to enjoy Cioppino or a a fresh salmon dinner. Bodega Bay Kayak – Let’s end on a creative note and think of the sunbathing and surfing seals as a tourist attraction. One- and two-person kayaks can be rented for a self-guided tour, and they also offer guided kayak tours along the Russian River where it empties into the ocean. In the spring, the seals give birth to their pups here, away from deep-sea predators. Did you find any Western and Sonoma Coast tourist attractions that interest you? There are a lot of things to do in Wine Country, and this California Wine Country map will help you find them. You may also want to check out our Sonoma Valley tourist attractions and Napa Valley tourist attractions articles for some additional ideas. 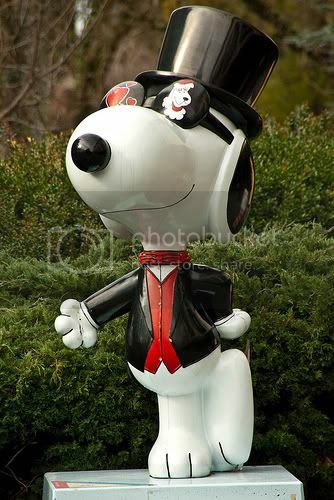 Photo of Snoopy at Charles M. Schultz Museum by bryce_edwards via flickr (Creative Commons) and Photo of Old Potter Schoolhouse from Hitchcock’s ‘The Birds’ in Bodega by mrjoro via flickr (Creative Commons).